The 2016-17 budget is a significant step forward for Pennsylvania schools. It will help ensure student success, and improve access to a high-quality education — regardless of a child’s zip code. This budget provides an additional $200 million in basic education funding, as well as a $30 million increase for early childhood education, preserving the number of slots for proven early childhood education programs like Pre-K Counts and Head Start, a $20 million increase for special education, a more than $10 million increase for early intervention, and a nearly $40 million increase for higher education. 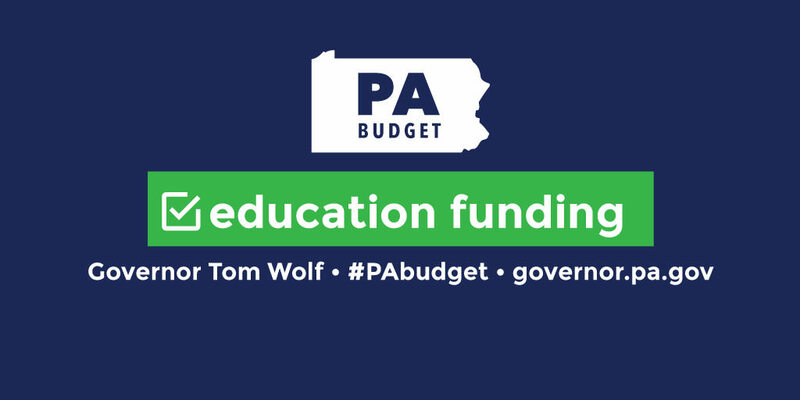 The new education funding included in this budget will be distributed using the fair funding formula, signed into law by Governor Wolf in early June. Prior to the passing of this bill, Pennsylvania was one of only three states that did not have such a formula in place, creating massive inequities in schools and hitting the most vulnerable students the hardest. $415 million in basic education funding. $60 million for early childhood education. $50 million in special education funding. $81.4 million for PASSHE and state-related schools. $16.4 million for Community Colleges. These important investments will help Pennsylvania’s students succeed. Pennsylvania has a constitutional obligation to provide a thorough and efficient education to all students, and Governor Wolf will continue his work to get our schools back on track and to make further investments in years to come. Read about the 2016-2017 budget’s critical increases in funding to fight opioid addiction.